Place the butter and sugar in the bowl of an electric mixer and beat for 6–8 minutes, scraping down the sides of the bowl, until pale and creamy. Add the molasses, flour, bicarbonate of soda, ginger, pepper and mixed spice and beat until the mixture just comes together to form a smooth dough. Roll out the dough between 2 pieces of non-stick baking paper to 8mm thick. Refrigerate for 30 minutes or until firm. Preheat oven to 160°C (325°F). 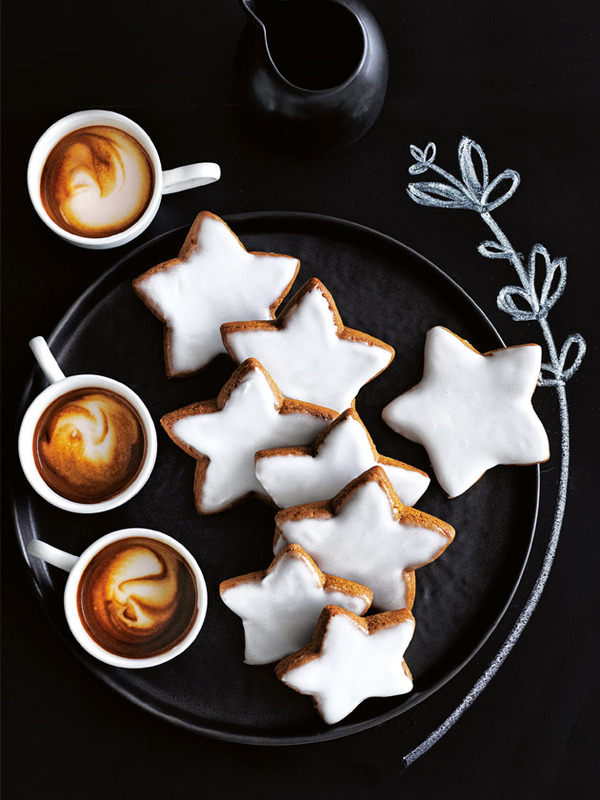 Use 4cm and 5cm star-shaped cookie cutters to cut 30 stars from the dough, re-rolling the dough if necessary. Transfer to a baking tray lined with non-stick baking paper and cook for 8–10 minutes or until the cookies are just firm to the touch. Transfer to a wire rack to cool completely. To make the icing, place the icing sugar and boiling water in a large bowl and whisk until smooth. Dip the cookies into the icing, allowing the excess to drip off. Set aside on a wire rack for 15 minutes to set. Makes 30 cookies. Note: Store the cookies in an airtight container for up to four days.